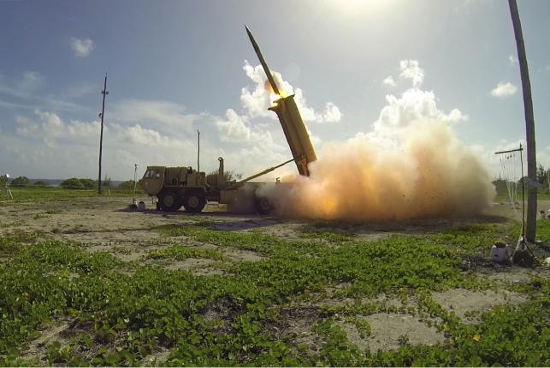 China demanded on Tuesday an immediate halt to a controversial US missile shield hours after Washington announced that the defence system was now operational in South Korea. But its deployment has infuriated China, which fears it will weaken its own ballistic missile capabilities and says it upsets the regional security balance. “We oppose the deployment of the THAAD system in (South Korea) and urge relevant sides to immediately stop the deployment. We will firmly take necessary measures to uphold our interests,” foreign ministry spokesman Geng Shuang said at a regular press briefing. While Beijing lashed out at the shield’s deployment, the foreign ministry expressed support for US President Donald Trump’s surprise comments that he would be “honored” to meet North Korean leader Kim Jong-Un under the right conditions. “If it would be appropriate for me to meet with him I would, absolutely. I would be honored to do it,” Trump said in an interview with Bloomberg. “We also said many times that the US and DPRK... should make political decisions at an early date, take action and show good faith so that we can create a better atmosphere for resuming the peace talks and settling the issue,” he added.